Dymeata Burum, A Gary, Indiana native, who has served in ministry for nearly 24 years. After high school, she continued her education at Indiana University Northwest studying Business Administration. Discovering her entrepreneurial gifts, Dymeata who has become a social media mogul in the online community- is the Founder and Owner of Bold Publications, bBold in the City, bBold Cosmetics, and Dress 2 Slay Boutique. 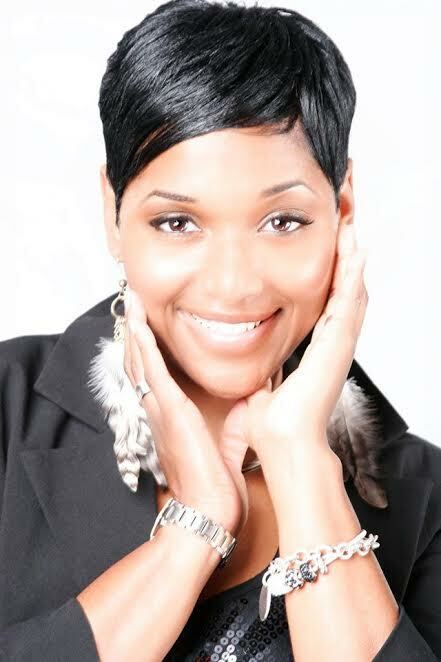 Dymeata is the published author of “Winning Confessions of a DIVA”. She understands that Entrepreneurs are those who don’t just talk about what they want in life, but they GET UP and DO IT! Dymeata plans to create a way for other women to be able to embrace the idea that “anything” is possible, and also showing them how to profit from the things that they love to do. Dymeata Burum: One of my greatest obstacles overcoming the opinions of other people. When God gives you a dream or vision, It is imperative that you eliminate all dream killers and momentum stealers. It was one of the hardest decisions I had to make. Another obstacle I had to overcome was not allowing the lack of resources to dictate my dream for success. DB: My daughters inspired me to start my business. I want them to be inspired and believe that if their mommy did it, they can do it too. DB: Although it wasn't easy in the beginning, I have practiced balancing out what's important with what's very important. Everything and everyone can not be a priority. My family is my first priority. DB: "Excuses are for the uncommitted." DB: I MUST HAVE my iPhone in order to keep my businesses running virtually. My customers and clients will always be served in excellence. I MUST HAVE time for "ME" in order to be effective in my community, to my family, and in my business. DB: The definition of a BOSS to me is someone who is BOLD enough to take risk, stand out, and stand up in spite of their oppositions, in order to reach success.